vacation rentals | Crystal Water Villas Blog - Lake of the Ozarks! 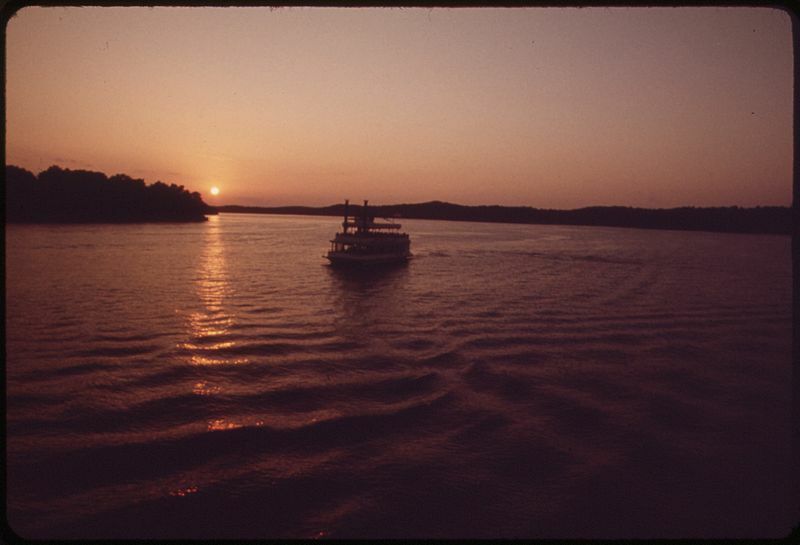 Memorial Day weekend is always a memorable time to officially kick-off the summer at the Lake of the Ozarks! Round up the family, enjoy some time alone as a couple, and savor every relaxing moment at the lake. We have a few vacation rental homes that are still available, in case you want to get away this coming weekend: Crane Cove Getaway and Sunset Cottage. Wonderful Open Concept Split Level Home on Quiet Water. Just 10 Minutes to Major Attractions! What an amazing family oriented lake front home! This open floor planned property offers lake or garden views from virtually every room. Crane Cove Getaway will quickly become a family favorite destination at the Lake of the Ozarks. The home provides guest with plenty of room inside and outside – 3 great bedrooms, huge lakefront concrete patio (partly shaded), nice landscaping, a grassy yard with mature trees, easy lake access and quiet water, great cove views and an easy paved road drive to the property. Sleeps: 8 Bedrooms: 3 Bathrooms: 2 – BOOK YOUR STAY! One Story Home with Sloping Lot and Spacious View of Lake. This lakefront cottage will seduce you with it charm. The home is perfect for small families or romantic get-a-ways for couples. This home has one of the best views of the Hurricane Deck Bridge and the evening’s sunset. Grab your chair early, sit back, relax and watch the beautiful display of colors in the evening sky. You’ll certainly be taken by everything this cottage has to offer. Enjoy! Sleeps: 6 Bedrooms: 2 Bathrooms: 1 – BOOK NOW! Sneak Peek: 3 Brand New Vacation Rentals! Now this is what vacationing at the Lake is all about. This wonderfully decorated and landscaped lake front property will make you forget about everything back home. This 3 bedroom property is very suitable for families and is perfect for fishing, relaxing and creating great lake memories. You will certainly love the large lakefront deck and lower level patio with seating and outside dining for everyone. The lake view from outside is amazing. Bring your binoculars as you can see all the way to the Bagnell Dam Bridge of a clear day. Show the kids the outside swing – they will be thrilled to use while watching the boats travel by. 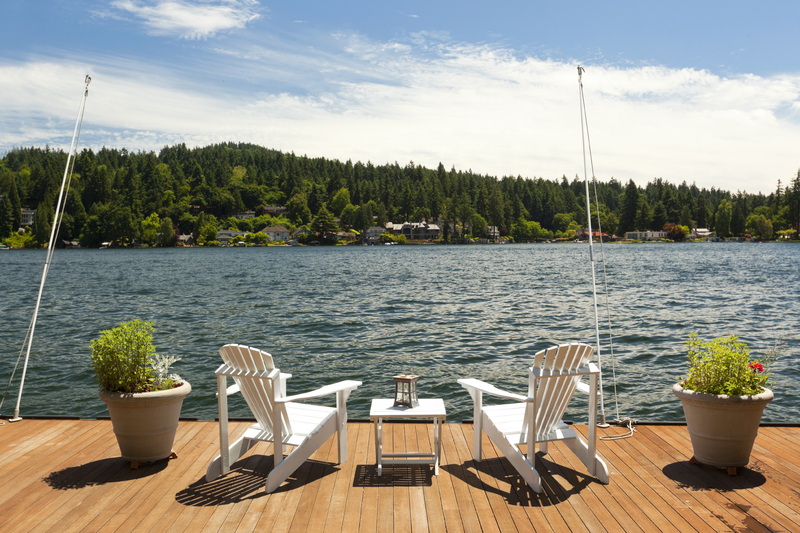 You’ll love having access to the home’s private dock. 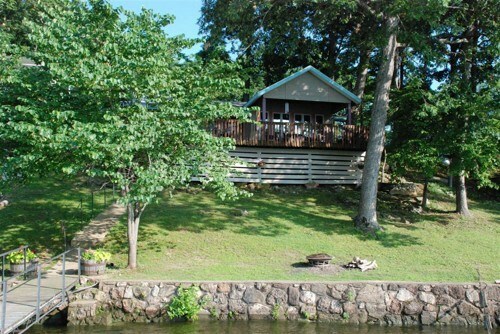 This lakefront property sits within the peaceful Millcreek Cove on the west side of the Lake. . The property provides guests with access to 100 feet of pristine lakefront shoreline. This 1940’s home is a real charmer and gets it’s name from the pristine knotty pine panels inside. This home is one story, with two bedrooms, and two baths plus an amazing lakefront screened in porch. The property dock is spacious as well. 2 swim decks and ladders and deep water on the protected cove. Perfect for any swimmer. No boat slip is available but this protected area off Millcreek cove is extremely calm. Guest can tie their boat up on the side of the dock. The lakefront property offers quick access for swimming, fishing and all watercraft activities. This “quiet side” retreat is 35-40 minutes away from all the action on the other side of the Lake – Bagnell Dam, Lake Ozarks, and Osage Beach – via the community bridge. 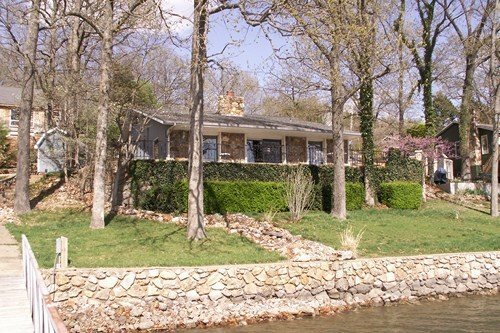 This executive business and/or family retreat condo sits on a point overlooking the main channel of the Osage Arm. This particular condo is located on the second floor and is a very desirable end unit. The condo consists of three bedrooms and three baths. The condo itself takes in a spacious view of the Lake from the large screened in porch. The Screened-In Porch is easily accessible from both the Living Room as well as the Master Suite. The Porch is equipped with a charming seating area, and additional seating/lounging for your favorite guests. You’ll easily pass the hours away taking in the Lake views from this ideal outdoor setting. There is a gas grill for guest access as well – which is located near the entry door to the condo. The Cozy Factor: Let’s face it. It’s tough to get really comfortable at a hotel. The blankets are often scratchy or the sheets on the bed simply aren’t up to par. The dressers are often small and closet space is questionable. No more feeling cramped…vacation rental homes have MUCH more room! Privacy: How many times have you been awake at night, hearing all of the noises coming from other rooms at a hotel? It’s not pleasant! Taking a vacation is all about rejuvenating and getting the best sleep possible. With a vacation rental, you get all of the privacy and peace and quiet that you could want. Big Perks: Want to relax in a hot tub? Do some fishing with your kids or grandkids on the dock? Do you want to relax and read while enjoying a gorgeous sunset? These little perks can make a big difference. Sitting on a back porch, sipping your favorite drink sure beats watching a sunset from behind your hotel window! Eat In or Eat Out: All of our vacation rental properties come with a fully stocked kitchen. Most families aren’t able to eat out for every meal. So pick some oh-so-easy recipes to make for the whole family, then choose a few nights to eat out at a restaurant. Save money and get a break from cooking! Pet-Friendly: What’s a vacation without Fido?! We have several vacation rental homes that are pet friendly. Making memories is just better when you can bring the ENTIRE family. 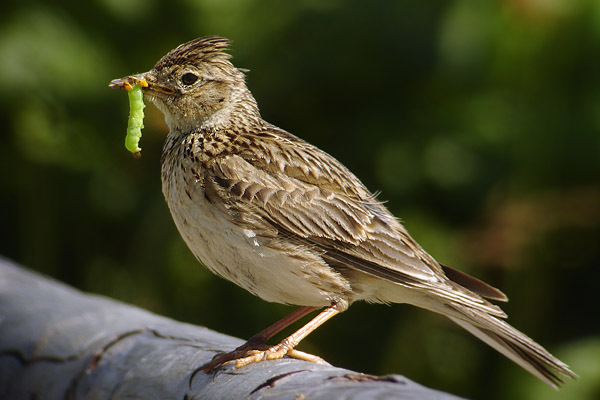 The Early Bird Gets the Worm. Book Now To Save! We hope you’re gearing up for what we anticipate is going to be a LONG spring and summer at the Lake of the Ozarks. To kick off this season of blooming Dogwoods, boat trips on the lake, and the thawing of pretty much everything, we’re offering a discount to the next 10 people that book a stay at one of our many vacation rental homes! That’s right! Act quick and you’re looking at a nice savings for your vacation or romantic getaway. Here’s how it works: The next 10 people who book their stay by phone — 866-273-2169 — will receive a discount toward their stay. 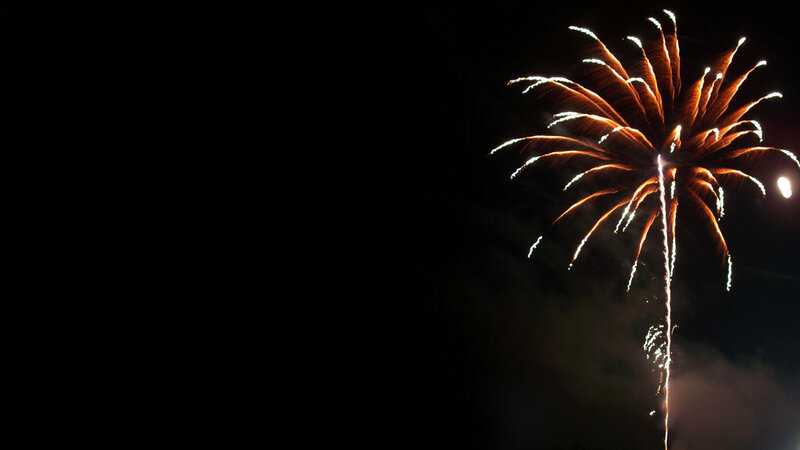 Your stay must be for a minimum of three nights, between May 1 to Labor Day 2014. This offer will expire at 5pm on the first day of spring – March 21st!